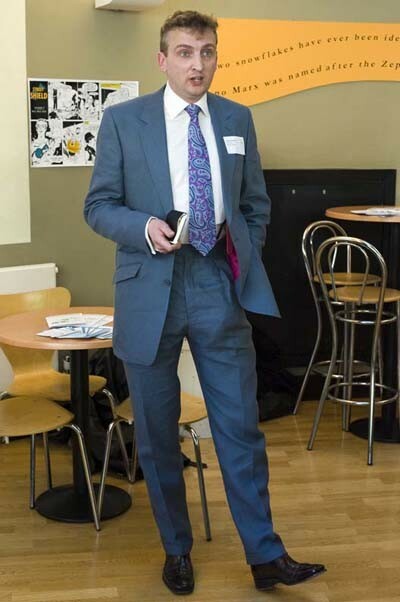 Notes: A terrific looking blue wool suit made by Henry Herbert Tailors, accompanied by smartly polished shoes. A great example of how striking this colour fabric can look in a well cut suit. You can also see a video of a blue Henry Herbert suit here. 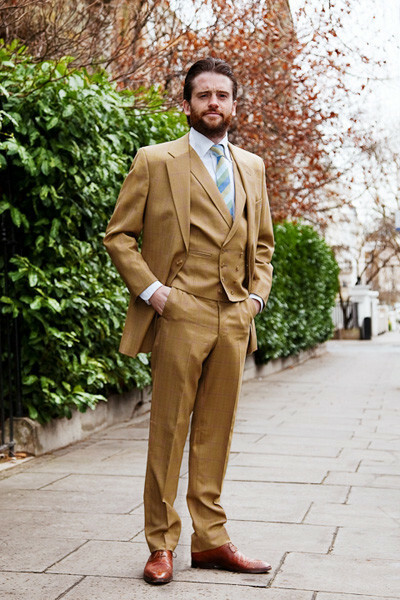 See also: bespoke suit, Bespoke Tailor, blue suit, english tailor, fabric, fabric source, Henry Herbert, Henry Herbert Tailors, London Tailor, Petra Exton, photograph, photography credit, savile row suit, savile row tailor, Scotland, Shirts, suit, Suits, tailored suit, Tailored Suits, wedding suits, wool, wool fabric, wool suit, young lady. Notes: A glorious looking blue linen suit from Harrisons of Edinburgh, which Henry Herbert made for a magazine editor (and former Royal Navy officer) in London. Linen is an excellent choice for staying cool whilst looking sharp in the warmer months. You can just see a flash of the special lining that he chose too. He also requested brace buttons, which sit discreetly inside the trouser waistband, together with a fishtail finish to the rear of the trousers. A great looking suit which sits well on his tall frame. See also: bespoke linen suit, bespoke london tailor, Edinburgh, fabric, fabric source, Harrisons, Henry Herbert, henry herbert suit review, Henry Herbert Tailors, linen, linen fabric, linen suit, London, London Tailor, navy officer, royal navy, savile row suit, savile row tailor, Scotland, Shirts, suit, Suits, tailored suit, Tailored Suits, tall frame, wedding suits. Scotland Archives - Bespoke Suits By Savile Row Tailors.